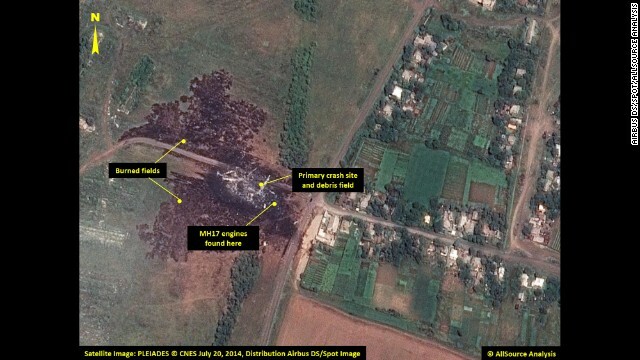 Russian air data records indicate that a Ukrainian Su-25 warplane might have been flying towards the Malaysia Airlines Boeing 777 passenger plane on the day when it crashed in eastern Ukraine on July 17, Lieutenant-General Andrei Kartapolov, head of the Main Operations Department of the Russian Army General Staff, said at a news conference on Monday, July 21. “This is borne out by the video footage obtained by the Rostov monitoring center. We would like to know why the Ukrainian plane was flying along a civilian route on the same flight path as the Malaysian Boeing,” Kartapolov said. The Boeing began losing speed 51 km from border with Russia, Rostov air traffic controllers said.